Newcomer Family Obituaries - William D. 'Bill' Greene 1952 - 2019 - Newcomer Cremations, Funerals & Receptions. 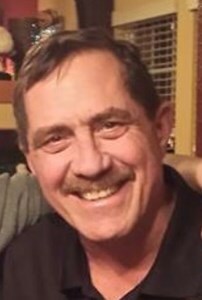 William D Greene, 66, of Aurora, CO, passed away on April 3,2019. Bill was born in Denver, CO and graduated from Aurora Central High School in 1971. Bill married his wife, Debbie, of Denver, CO in 1972 and they spent 47 wonderful years together. Bill spent 4 years in the U.S. Navy, where he was stationed in Norfolk, VA before he returned to Colorado to start his career. He spent most of his professional career with Albertson's, Boyer's/Brothers Gourmet Coffee, and Navajo Manufacturing. Bill retired from Navajo Manufacturing in the fall of 2017. Bill loved to compete and excelled at most everything he did. He loved playing competitive baseball/softball, he loved to golf, was always up for a good poker game, and was one of the first ready to play horseshoes and/or corn-hole. He loved spending time with family and being outside in the spring/summer time playing games and listening to music. Bill is survived by his wife, Debbie; daughters, Valerie Bruckman (Dan); Natalie Larusso (Jon); grandsons, Cameron and Cade Bruckman; Devin, Bailey, Michael, Joey, and Elijah Larusso; and 2 great grandchildren; Sisters, Donna French (Bob) and Joann Hettinger (Gary); Brother In Law, Rick McDaniel (Carol); as well as many nieces and nephews. He is preceded in death by his parents, Ralph and Patricia Greene; siblings, John Greene and Diana Kelly. Bill is dearly missed and loved. He will always be in out hearts and we will never forget his great hugs and wonderful laugh! To share a memory of Bill or to leave a special condolence message for his family, please click the Share Memories button above. Add your memories to the guest book of William Greene. Bill was such an amazing man. He always new how to include everyone, and would welcome them just like family. He is greatly missed, and Christmas will definitely not be the same . Some of my favorite memories are going to watch my Uncle Bill, Aunt Debbie, along with Bills sister Joann (My mother) play softball. Every week my brother and I would head up to the softball field with my mom and we would get to watch them play softball and laugh about how Aunt Debbie ran around the bases like Peg Bundy from Married With Children. Other great memories I have were while I was older and how we would get together and play cards with family and friends. We always had a great time! To all of the Greene family, my love, hugs and prayers. Such a great loss of a wonderful man. Bill was one of the best people I have ever known. He was always encouraging and building people up. You could see the joy it brought him when he could help someone and was always the first to volunteer. I enjoyed the years of friendship. Softball, poker nights and BBQ's were always great times. Bill always had a way of making things just a little more fun. He was a good friend to many and loved and cherished his family above all. I can just close my eyes and see his great smile and hear his wonderful laugh. I will keep that memory with me forever. Rest in Peace, Bill. Take care, Greene family and know that you are loved. May God give you comfort and peace. I will miss you. You were one of my favorite Uncles. We absolutely loved Bill here at Navajo and the office was not the same after he retired. We will all dearly miss the light and laughter he brought to us all. Uncle Bill, you were taken away from us all way to soon. I will take with me the smile that you always had on your face and your kindness. I'm so glad Brian and I came home to Colorado for Christmas. It was great seeing you. My “little” brother Bill! Still doesn't feel real to me. You will be forever in my heart and I will cherish the memories we shared as children and adults. Your love for your family was like no other. Your love & pride for your grandchildren set you apart. One of my favorite memories was the night we spent listening to music together in your basement on S Union until the wee hours of morning. We both loved the “big band” era...a gift from our dad. You were taken away too soon but know you are at peace. Save us all a place in heaven Bill. Watch over us! Love you all the way to heaven.